The Football Association has launched its latest search for any individual or group that is helping to nurture the fair side of the beautiful game. 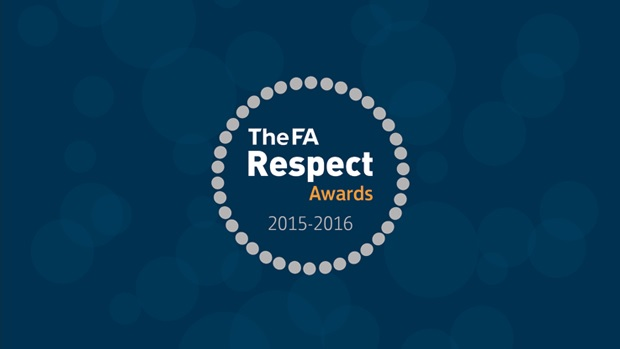 The seventh annual FA Respect and Fair Play Awards aim to recognise those people, clubs and leagues that are providing safe, fair and enjoyable opportunities for people to play across the grassroots game. Prizes include a coaching bursary of £1,000, a visit of the FA Cup to your club/league, the use of a celebrity football speaker at a club/league function, plus tickets and hospitality for an England game at Wembley Stadium. All winners will be invited to an awards ceremony and lunch prior to the FA Community Shield between Leicester City and Manchester United at Wembley Stadium on 7 August. Self nominations or nominations made by a friend, relative, team mate or any third party are all acceptable. All nominations considered by the FA are subject to reference or endorsement checks with the relevant club, league or association. To make an application visit farespectawards.com. Deadline for applications is 1 July.